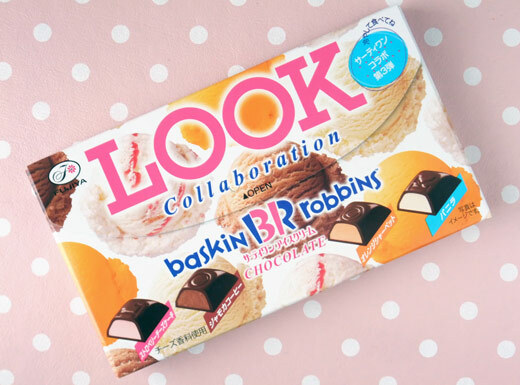 LOOK and Baskin Robbins are collaborate, the flavors are vanilla, orange sherbet, jamoca coffee, and strawberry cheesecake. The chocolate was recommended to cool in the fridge. 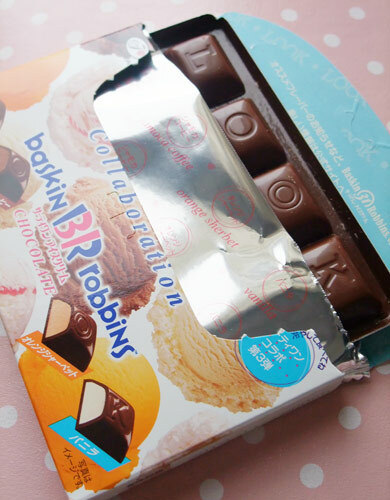 It’s unique to imagine ice cream by eating chocolate. Seems really yummy, I would love to try them! Yummy!!! It looks pretty yummy! Japanese chocolates have insteresting flavors! Strawberry cheesecake sounds great. One of my favorite kinds of cake also. THIS LOOKS SO YUMMY! i wish we had some in Toronto! maybe hong kong will have it…must go check it out!